Red Wine by 24 Knots from Central Coast, California. Aromas of ripe cherries, red fruit and blood orange with notes of vanilla and butterscotch. The palate shows subtle tannin structure, balanced acidity that allow the bright fresh fruit flavors. Red Wine by A by Acacia from California. Vibrant red cherry, raspberry, and juicy dark plum to hints of sun warmed red rose petal and fragrant oak spices. Supple, fine grained tannins a softly frame this Pinot Noirs fruit forward cashmere-textured. Red Wine by A to Z from Oregon. The 2013 A to Z Pinot Noir leads with aromas of cherries, raspberries, and blackberries, developing to iris, blueberries, strawberries and minerals. A beautiful attack has vibrant red fruit. Red Wine by A.P. Vin from Russian River, California. A classic nose loaded with berry pie, sweet spice and floral rose petal. Full-bodied richness and spice on the palate with balanced acidity and complexity that is beautifully focused while framed. Red Wine by A.P. Vin from Central Coast, California. Rich and concentrated with thrilling notes of blackberry and dark cherry in addition to fleshy plum and blueberry flavors that are pure and deeply focused. Full bodied with loads of texture. Red Wine by A.P. Vin from Sonoma County, California. Rich, ripe and assertive with great balance. Dark wild berry fruit with mineral, sage and raspberry flavors. Laser-focused with lots of juice, this wine will keep you coming back for more. Epic. Red Wine by A.P. Vin from Sonoma County, California. Sonoma Coast savage with tobacco, dark black cherries and forest floor make this coastal pinot so captivating - my favorite Ridgetop yet! Incredible mouth feel with textured deliciousness, framed. Red Wine by A.P. Vin from Central Coast, California. Classy yet thrilling with a luscious and rich bright cherry, berry core. Sweet oak paired with loamy earth and bright acidity makes for an incredible wine with a laser focus and textured mid-palate. Red Wine by Acacia from Carneros, California. This Pinot Noir has generous layers of dark and red fruit expression sculpted fine tannins and impeccable balance. In the glass it reveals bing cherry, sun ripened berries and plum. Take time. Red Wine by Acrobat from Oregon. 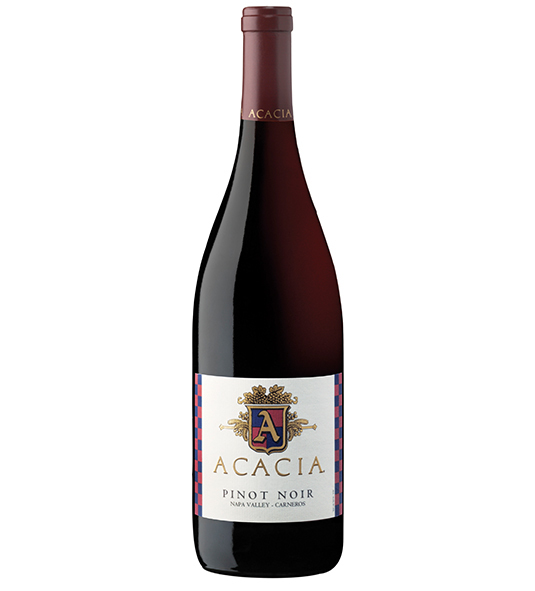 The 2014 Acrobat Pinot Noir has a smooth start filled with ripe fruit. The middle fills in with a nice weight and depth. As the wine continues, the fruit mingles with earth and oak while the. Red Wine by Adelaida from Central Coast, California. Aroma of spiced cherries, heather, rose petals, and sandalwood. Flavors of black cherries, wild strawberries, cinnamon bark, and rosehip. The HMR Pinot Noir pairs well with wild salmon sauted. Red Wine by Adelaida from Central Coast, California. Aromas of cherry pie, Darjeeling tea leaves, black plum flesh, wafting cedar smoke. On the palate are flavors of black cherry and plum compote, graham cracker crust, mulling spices. Pairs well. Red Wine by Adelsheim from Willamette Valley, Oregon. This wine is both elegant and intense, offering layered aromas of red raspberries, fresh Oregon strawberries, brown spice and cedar. Its aromas are refl ected on a palate that speaks of purity. Red Wine by Adelsheim from Willamette Valley, Oregon. With its broad array of origins and clones, this wine displays red aromas pf candied cherry, pomegranate and raspberry on the nose and the palate. In addition, one finds a light touch of brown.